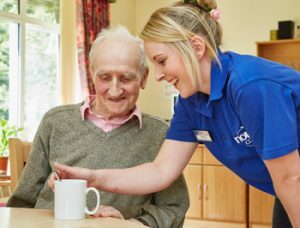 New to Working in Care? We see our staff as our most important asset, so when it comes to building our workforce for the future and equipping them We see our staff as our most important asset, so when it comes to building our workforce for the future and equipping them with the skills they need, we place great emphasis on our apprenticeship scheme. To achieve this we ensure our apprentices have a real job – one that has been carved out for them, linking training with hands-on experience. In all areas of the business apprenticeships are seen as a vital part of the company’s future, complementing training and development at all staffing levels to maintain a skilled workforce that can deliver our diverse range of services. Gaining a nationally recognised qualification in Health and Social Care, starting at Intermediate level. Regular learning and training reviews with access to our digital E-learning platform and our learning resource library. Clear and defined progression routes that could see you become a Leader in Adult Care. 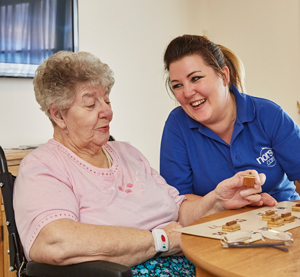 Opportunities to specialise and focus your skills in areas such as dementia care and end of life support. For details of our current opportunities, click here. Copyright © 2019 NorseCare. All right reserved.